The story of the Southeast Asian community in Providence, RI is one of struggle and hope. 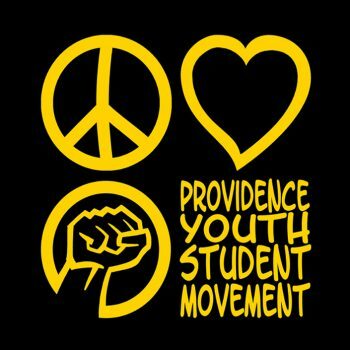 Providence Youth Student Movement (PrYSM) began in 2001 by local students and youth in response to escalating gang fights and violent deaths in Providence’s Cambodian community. We saw an urgent need for a youth led response to the oppression and violence facing the Southeast Asian community. Our parents, extended families, and neighbors uprooted their families to flee genocide and civil war and make a new life in Rhode Island. But here, our community faces deportation, racial profiling, and school push out. PrYSM has built a strategy of combatting state, interpersonal, and street violence by empowering the leadership of Southeast Asian young people to lead with love on policy campaigns seeking to end the criminalization of Providence’s youth of color. For the past fifteen years, we continue to support Southeast Asian youth to become leaders, organizers, and critical thinkers, and offer educational workshops, leadership opportunities, mentorship, and oversight of youth-led community organizing projects.